Gilles Julien Bruneaux, age 81, of Hope Street, Bristol, died Friday, March 15, 2019, at his apartment in Paris, France, in the presence of his loving wife of 52 years, Cynthia (Harvey) Bruneaux. Born in Versailles, France, he was educated at L'École Superior des Travaux Public and worked as a civil engineer with his father at the Bruneaux Corporation in Versailles when he met Cynthia, a Missouri native, on the Champs-Élysées on Bastille Day, 1966. He proposed 2 weeks later, and they were married on New Year’s Eve. He lived with his growing family in Versailles before moving to the United States, initially to Missouri in 1977 and then to Rhode Island in 1981. He had a long and distinguished career as a civil engineer and project manager for the Perini Corporation, including international projects in Djibouti, Diego Garci, and Morocco, before retiring in 2017. Gilles loved Bristol and was grateful to finally move with Cynthia to their beautiful, historic home on Hope Street in 1999. There, he enjoyed watching the sunsets on Bristol Harbor and the town’s classic Fourth of July parade. His Catholic faith was central to his life and he was a very active and generous member of St. Mary’s Church on Wood Street. Gilles was a lifelong rower, beginning in his youth as a champion on the French National Team, and later at Cercle Nautique de Versailles, Société Nautique de la Basse Seine, and Rowing Club De Port Marly. Upon moving to Rhode Island, he became a dedicated member of the Narragansett Boat Club, where was known for his irreverent sense of humor and joie de vivre. 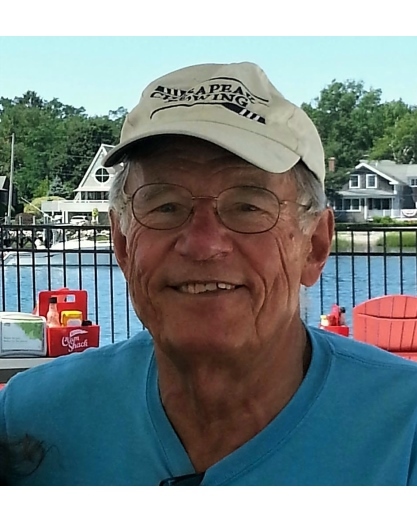 At age 81, he continued to row for up to 8 miles at a time on the Seekonk River. He was devoted husband and loving father. His family knew that they would never be without his kindness and generosity during challenging times. They will miss his energy and enthusiasm in orchestrating large family gatherings with detailed menus for multiple course meals including cheese and, very importantly, wine. Gilles Bruneaux was a great man and a positive, steady force who left a profound mark in the lives of those fortunate enough to know him. In addition to his wife, he is survived by his children: David Bruneaux of Lawrenceburg, Ky., Mathieu Bruneaux of Canterbury, Conn., Lucille Bess (Bruneaux) Mehring and Luke Bruneaux of Providence; ‘fille de coeur’ Judith Vérez of Nice, France; his grandchildren Serena, Dartagnan, Julien, Sophie and Claire Bruneaux, Cole Mehring; Marc-Antoine and Richard Lainé, and Charles Vérez. He is also survived by his sister, Claire Bruneaux of Paris, nephew Philippe Hennechart and nieces Valérie Reggiani and Isabelle Kerber. He is preceded in death by his parents, Horace Bruneaux and Marguerite (Thuilleaux) Bruneaux, by his sister, Annie Hennechart, and nephew François Hennechart.